In 1998 my then sixteen year old son taught me the basics of HTML and how to build a web site using Microsoft Front Page. 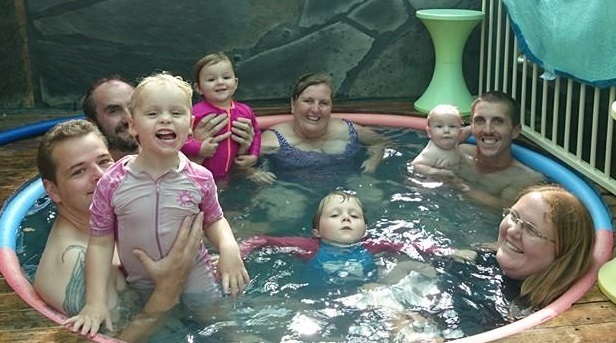 Homeschool Australia was born! It was a WOW moment for me: being able to publish online was the beginning of a passionate adventure that will never stop! By 1998 I had written a lot of articles for the South Australian newsletter I'd started a decade earlier as well as other Australian home educating newsletters and magazines. The internet was the perfect place to publish these, and made it easy to distribute them. 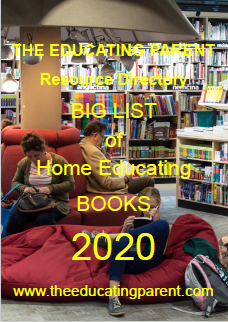 Many of these articles formed the nexus of my Practical Home Educating Series of booklets, available from my daughter's online bookstore Always Learning Books. 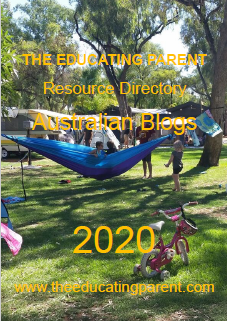 In 2013, I decided to merge my two main websites, Homeschool Australia and Unschool Australia to form The Educating Parent. 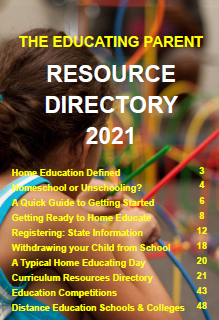 The Educating Parent, formerly Homeschool Australia and Unschool Australia, is an extensive collection of my articles and information about home education written over nearly two decades. 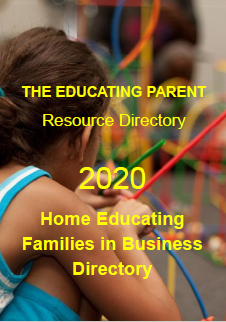 In them I share my experience and insights, always wanting to help other families demystify the process of education and make it easier for them to teach their children at home. During this time I battled chronic illnesses that often led to feeling overwhelmed and you'll find a lot of practical and sympathetic articles on how to manage home educating life on my website. My approach to home education is down-to-earth, common sense, child and family friendly. Although I began home educating with a 'school-at-home' approach, health issues wrecked havoc with my tidy schedules and careful plans and I found that my children, unattended and playing happily, seemed to learn just as much and effectively without being taught! Since 1989 I have been exploring and writing about natural learning. 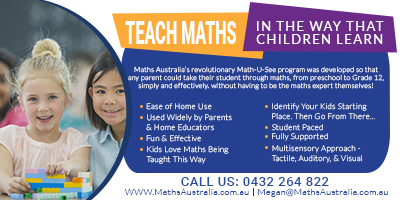 Unschool Australia collected together my writing on this efficient and effective approach to education and there more than a few articles for you to explore! 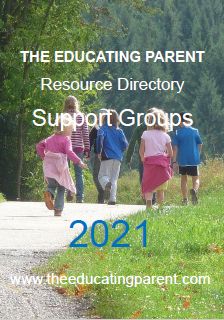 Every so often I remember to post on my The Educating Parent blog, usually in response to a home education or educational topic in the media. Mostly I post on my The Educating Parent Facebook Page though - 'like' and 'follow' if you are hooked on Facebook like the rest of us! 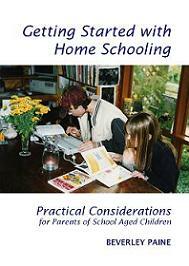 Since 1997,when I self-published her first book, Getting Started with Homeschooling Practical Considerations, I've been writing and selling books designed to help families build confidence as home educators. They are available from April, my daughter, now a stay-at-home mum, through Always Learning Books. At the age of six I declared that I'd be an author and started writing poetry, sadly none of which survives. I think most of us threw out our school books at the end of each year... Happily home educators tend to keep the best of our children's creative work. At the age of 39 I began writing fiction again, a story set in the not so distant future, an action packed tale of intrigue and conspiracy. Published by Greater Glider in 2002, The Chimaera Conspiracy remains my only published book, but it definitely isn't the only fictional story I've written. In the years to come I hopes to entice publishers to produce some of her other finished manuscripts! In 1988, Robin and I purchased 4.5 acres keen to develop it using permaculture principles. Robin did his Permaculture Design Certificate by distance education and I studied alongside him, loving the whole concept of permaculture, aligning it with my understanding of natural learning. Alas, although we're keen gardeners we're not natural gardeners, and are way more interested in building and tinkering and solar energy, etc. Bungala Ridge Permaculture Gardens isn't up to date and offers a view of what life was like for us a couple of decades ago. One day I'll update the site. Sadly we're not permaculturists, but still adhere to a few of the main principles. Jacqui's evocative poetry is about life, love, living and letting go... Jacqui was my lovely sister who found at at the age of 32 that she had cancer and died 12 years later. She was an inspiration to all who knew her. A small web site celebrating the Paine family's trip to Ceduna in 2002 to witness the amazing Total Solar Eclipse. If you ever get the chance to see a Total Solar Eclipse don't hesitate. It's an awesome experience. Although I am not a natural gardener, just someone who dabbles in growing and propagating plants, I am passionate about my garden and miss it terribly when I'm on holiday. I love the colour and complexity of flowers... I think these took over from my childhood fascination of rocks, minerals, gemstones and crystals, the flowers of the underworld. Wander around my (sadly unattended) Flower Garden site. Yet more beautiful flowers, this time captured by Beverley's camera while on holiday in Tasmania in 2006 - a tribute to Table Cape Tulip Farm. Still in his teens, my youngest son built his first website, Off Roading Subarus, a forum where he shares his adventures in modifying and racing Subarus. A decade or so later he's still mucking about with Subarus. Not content with this time and money consuming hobby, he's started his own business designing and creating hand-made rustic steel sculpture and screens, Two or Three D Designs or his Facebook page. Our eldest son shares the same passion for 4WDs and has started his own business Roger's Mobile 4WD Improvement Services. His wife, Courtney, a stay-at-home mum, manages Youniquely Courtney. Our daughter April took over Always Learning Books from us in 2010 but also is a consultant for Your Inspiration at Home. For some reason, unlike their parents, all of our children turned out to be excellent cooks with adventurous taste buds. Another bonus to be had from the home education lifestyle!